Loop Rawlins is living proof that the Wild West is alive and well! 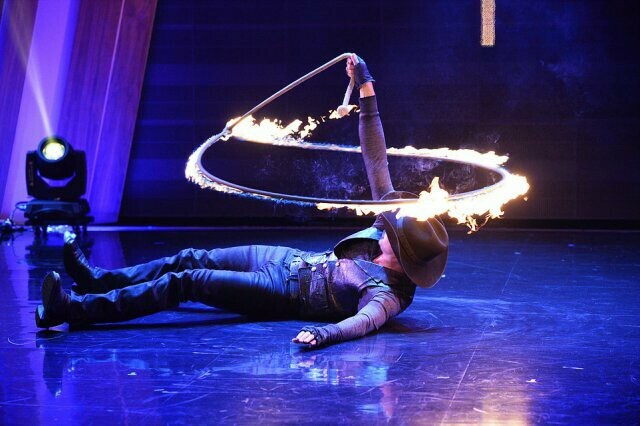 This young former stuntman’s exciting and hilarious show contains award winning trick roping, gun spinning, whip-cracking, and a mix of family-style western comedy- all highlighted by Loop’s “Fire Rope”, popularized on TV’s “America’s Got Talent” (subject to venue permission). Loop’s show is an eye-opener, and a great way to welcome your group to Arizona in a great “Wild West” fashion!